Updates to Judith I's profile since your last visit are highlighted in yellow. Judith I Findlay Millard has a birthday today. 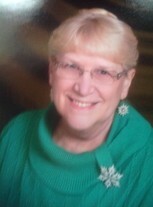 Linda M Wilt Free posted a message on Judith I Findlay's Profile. Happy birthday Judy. I hope you have a great day! Judith I Findlay Millard has a birthday today. New comment added. Linda M Wilt Free posted a message on Judith I Findlay's Profile. New comment added. Happy birthday Judy. I hope you have a great day! The question marks were supposed to be balloons.